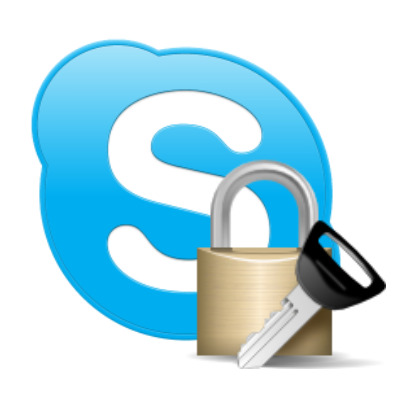 If you have lost your Skype password or if you have forgotten it, then you are in the right place. Most probably now when you try to sign in you see a message similar to: Sorry, we didn’t recognize your sign-in details. Please check your Skype Name and password, then try again. Don’t worry. Here I will guide you through the steps you need to do in order to get a brand new Skype password. First, just in case, check if you are writing your password correctly, for example caps lock could be turned on or you could have switched to another language by accident. If this is not the issue, then lets continue to the password reset request page in the official Skype website. There in the field Enter your email address just enter the email you used back then when you registered your Skype account and click the Submit button. Now you should receive an email from Skype, in which there are two links. When I tried this, the first link was with the words temporary code. Click on it. (Keep in mind that the email may not come immediately. Also know that for security measures the link is only valid for 6 hours). When you click it, a web page opens. There are two fields – New password and Repeat password. In both fields you need to enter the password you want to use from now on. Note that there are the following minimum complexity requirements – at least one letter, at least one number and at least 6 characters total. It must be with letters from the English alphabet too. Now click Change password and Sign me in. If everything went well you will be redirected to another page, in the middle if which there is the following message: Your password has been changed. You can sign in to Skype with your new password. Thank you, мy friend definitely needs this! Hi. Sorry, I did not understand. Could you explain what you mean. Regards. i reached to step 3 but where i find email? how i open skype email? Hi. You have to know what is your email that you used when you registered your account. You also have to be able to log in to it in step 4. When I get to temporary code then go to enter the code manually Neither works. I have tried so many times it wont let be do it for at least another 24 hours. There could be some issue with the site at the moment.